Is the crypto market being manipulated? Many reputable analysts believe it’s true. While not applying a label of ‘legal’ or ‘illegal’ onto the behavior of the crypto market since January, it is evident to many that a repetitive cycle has become apparent, specifically relating to Bitcoin supply and demand. If you’re looking for a silver lining in the crypto market, it’s this: Even with the repetitive rise and fall of Bitcoin prices in the last five months, demand for crypto continues to show its strength, causing day-over-day growth between these massive Bitcoin sales. 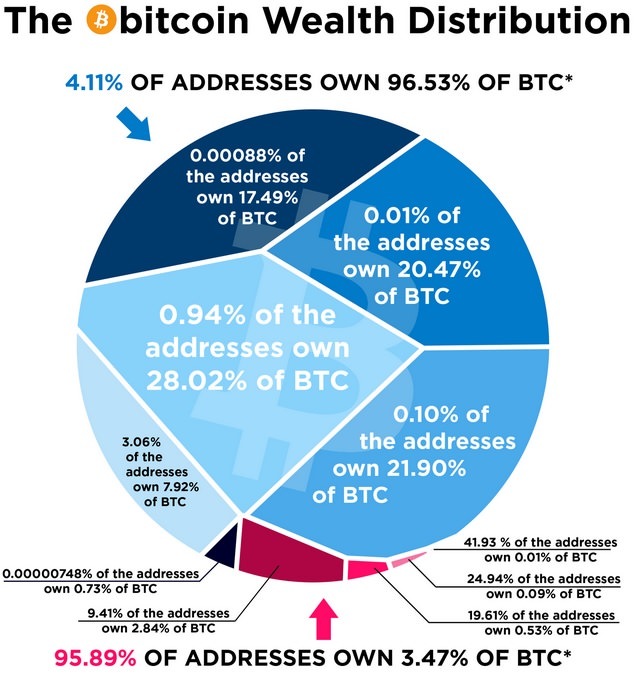 I believe this is proof positive of growing demand for cyrptocurrency worldwide as more and more people educate themselves on this new financial product. This centralization of ownership means that the market for Bitcoins could at any time be subject to wild fluctuations due to dumping or even intentional price manipulation by some who may be playing in a completely separate market – futures trading. Some analysts have endeavored to investigate this manipulation, and even some regulatory agencies are expressing an interest in uncovering more about the current crypto market behavior. Given that information, what’s the wisest course for those currerntly searching for the best cryptocurrency investment? Let me preface this by saying that in previous speeches that I’ve heard on the topic of blockchain technology and its accompanying innovations, I’ve had a mixed reaction. In some cases, you can detect a bit of populism in the speeches, mixed with authentic viewpoints about some of the aspects of cryptocurrency and blockchain technology. When I read the last quote, the one individual that immediately sprang to my mind was Chris Larsen, one of the founders of Ripple. Before leading Ripple, he founded a company that specialized in peer-to-peer loans called ‘Prosper.’ Many influential thinkers and leaders like Rostin Behnam are now seeing the same possibilities that visionaries like Chris Larsen saw years previous from his vantage point in Silicon Valley; the possibility that the entire world is about to change due to blockchain technology. The Bank of International Settlements, or BIS, is an umbrella organization that is owned and operated by 60 central banks from around the world.3 4 This organization recently released a paper detailing their findings regarding cryptocurrency, distributed ledger technology, and how these topics may impact monetary policy for central banks. 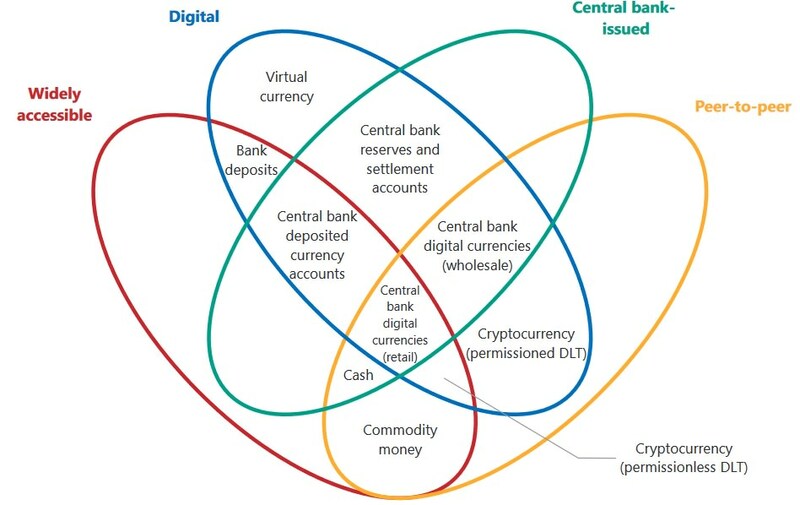 It even went a step further and surmised about a few possible scenarios where blockchain technology could merge with central bank policy. • Is coercion of citizens involved, or are they able to choose their own currency? • Are central bank currencies going to be inflationary? 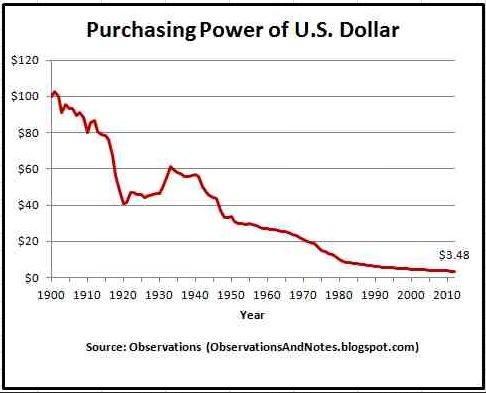 • Will central bank-issued currencies steadily lose value? • Will central bank-issued currencies be used as a tool for monetary policy? The reality is that people will choose to exchange their central-bank-issued cryptocurrencies for other cryptocurrencies that are scarce and rising in value. Do I think they’ll use the XRP Ledger as a global reserve currency? Not a retail currency, no; but I’m still up in the air about a universal central bank reserve currency. The paper is groundbreaking – this is the first comprehensive analysis I’ve seen at this level of detail. While some of the conclusions and observations are flawed, I believe the paper represents a trend in serious consideration of blockchain technology to solve central bank problems, such as cross-border value transfer. Question: "David: How addicted are you to (checking) the price charts and the fluctuations and volatility?" Answer: "You know, I went through a short time when I was kind of addicted, but it... got boring after a while. I think I’m in this for the long term, and I’m not so much in it for the price movement. I’m in it for making payments cheaper and faster." Ironically to some, this is exactly what is best for XRP stakeholders. On the surface it may seem counter-intuitive, but it’s great to have Ripple championing its products with banks, especially since all of them are able to settle with XRP. Other blockchain companies may be distracted by the short-term price fluctuations of their chosen cryptocurrency, but when it comes to long-term value, Ripple is on the right track. Every once in a while, a new banking partner for Ripple is mentioned, as they continue to make traction into the market previously controlled by a monopoly – SWIFT. With each additional bank to RippleNet, the odds swing more decisively in Ripple’s favor in their battle for cross-border payment supremacy. The XRP Community tracks these wins as they are discovered, but not all of them are highly publicized by Ripple for various reasons. Perhaps some of them have signed nondisclosure agreements (NDAs) with Ripple. Whatever the reason, the XRP Community is adept at picking up details that leak out into cyberspace about these new Ripple partners. While most likely using xCurrent, it’s additional evidence of a growing network for Ripple and it also expands the ‘potential network’ for XRP in the future. Even if they didn’t officially announce the win, congratulations to Ripple on working with yet another major international bank. As 2018 moves forward, expect to see more of these types of references as Ripple and XRP both start to become household names. At the Social Innovation Summit earlier this month, the founder of DonorsChoose.org, the charitable foundation that organizes ‘classroom requests’ for teachers across the United States, gave a presentation where he told the story of Ripple’s massive $29 million dollar donation. I confess that didn’t know the full story; I’d only seen the headlines and watched a short video that Charles Best produced with himself and Monica Long, Ripple’s Senior Vice President of Marketing. The hairs on the back of my arms stood up as he described amazing details that I didn’t previously know about; some of it was information on prior donations, to contrast just how massive in scale Ripple’s commitment was. He told a story that Stephen Colbert was one of the first celebrities to make a high-profile donation to DonorsChoose.org in the early days, fulfilling all of the classroom requests from South Carolina. Of all the statistics that he shared, the most telling one was where he shared a private concern about Ripple’s large donation; he was worried that individual donors might not be as interested in donating when they see such a large contribution. In fact, however, he indicated the complete opposite happened. Before Ripple’s donation, DonorsChoose.org's annualized growth rate in donations was 8%. After Ripple’s donation and its associated publicity, this has now jumped to 172% annualized growth ...by citizen donors. Most of us follow crypto because we’re investing in the technology by buying cryptocurrency, but isn’t it great when your investment is associated – even peripherally – with such a progressive and monumental example of philanthropy? A recent blog by @WietseWind is worth reading if you haven’t seen it; while all of the blogs on the community site are worthy of your time, this one deserves mentioning as a ‘blog apart’ due to its description of a highly technical, yet important-to-understand topic in cryptocurrency. Because the crypto market is still quite young, many investors handle their own crypto holdings, along with their security. Hashes your transaction. Hashing maps input data to a fixed size string (hash). The same input data will always result in the same hash, but if only one character changes, the hash will completely change as well. Hashing is one way: you can't convert an hash back into the input data. Signs the hashed transaction with your private key. Your unique transaction signature and your public key are then added to your transaction, and sent to the network. After two rounds of voting, @xrpsymbol confirmed the final vote tally, and it was a staggering 62% in favor of the submission by Ripple. Of course, the hometown favorite had a decisive advantage, but the other submissions were very compelling as well, and garnered a significant amount of the community support. Thanks to @xrpsymbol for coordinating this large-scale effort that included the contributions of multiple XRP Community members. Kudos to all involved, and congratulations to Ripple on submitting the winning design. 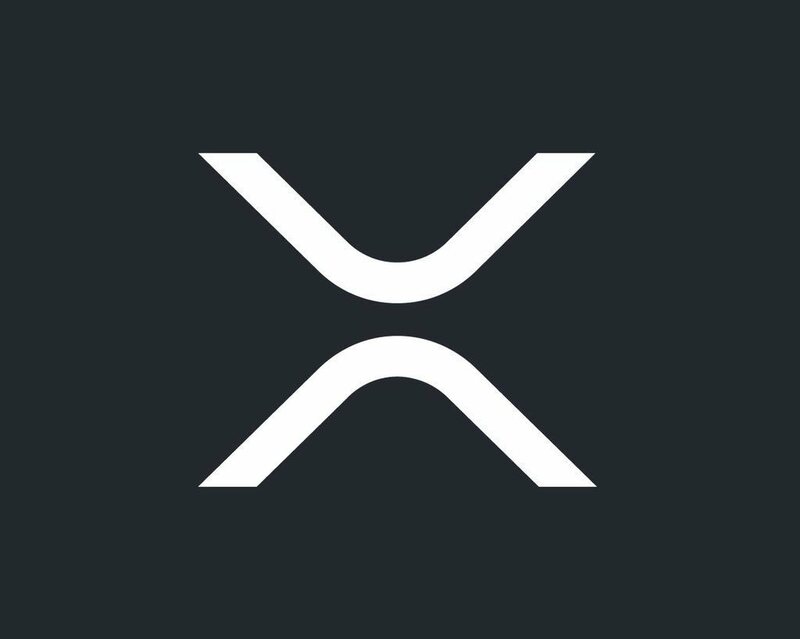 The next step for the symbol is for the XRP Community to help exchanges and other crypto ecosystem stakeholders adopt the symbol when they discuss XRP. Even with a new symbol and a highly-publicized vote, there are still notable crypto icons that still refer to XRP as 'Ripple'. We need to gently remind them that XRP and Ripple are two separate things. Is the crypto market far below where it’s market cap should be? Yes. Is there anything that we can do about it individually? Yes. We can support the cyrptocurrency choices that promote blockchain technology in the most responsible manner, in the most positive way. We can vote with our wallets. While early Bitcoin converts would like new crypto owners to only focus on Bitcoin, their behavior is centered on protecting their investment, not in promoting cryptocurrency as a whole. If we want the world to use cryptocurrency as a means of exchange, we should promote one that can actually scale to global levels of usage, and is the most flexible when it comes to cross-border value transfer and settlement in any currency: XRP. If you’re reading this, you might already know how massive the use case is for XRP, as well as how flexible it is when transforming one currency into another using its bridging capabilities. This is why remittance companies and banks are considering it as the first, best option in actually using blockchain technology in a production setting. They are choosing the option that makes the most sense from a business and risk standpoint, and I can’t say I blame them; it’s very much like Brad Garlinghouse indicated: using digital assets is definitely a ‘crawl-walk-run’ situation. It’s fairly obvious which company – and which digital asset – that they are planning on actually using in the real world of global finance.